When I was a little girl and people asked me what I wanted to be when I grew up, I said, “A substitute teacher.” My dad thought this was hilarious (and a little lame, I’m pretty sure). Who wants to be a substitute anything? 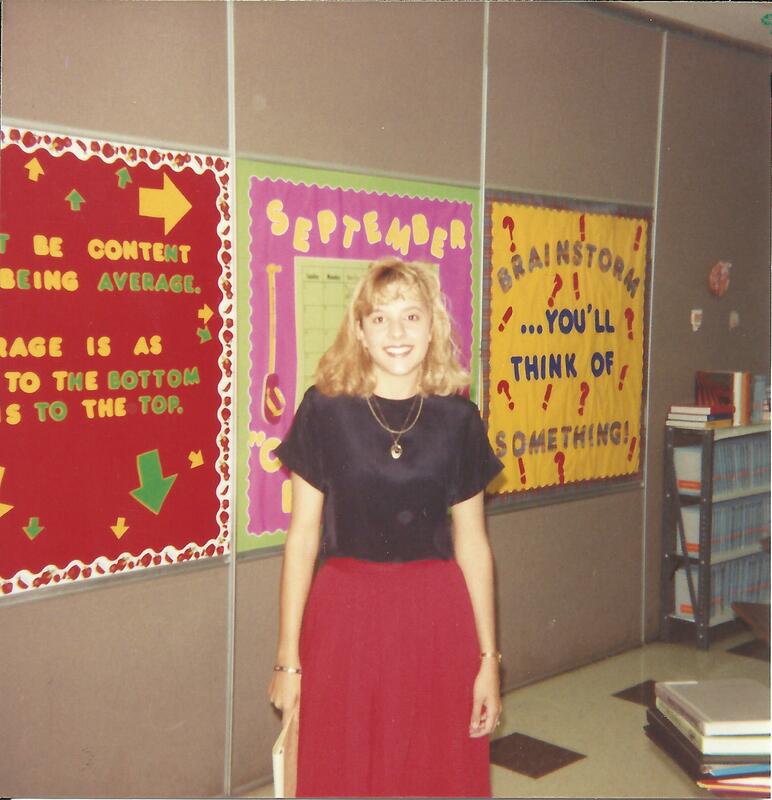 My rationale was that I thought substitute teachers were the nicest, prettiest, most fun grown ups I ever encountered! They showed up at school unexpectedly, usually in a pretty dress, and kind of let me boss them around while they got the lay of the land. What could be better than that? Fast forward 30 years or so, and I find myself exactly that — a substitute teacher. After 20 years teaching middle school English, I followed my husband’s career to another state as a “trailing spouse.” While I was bummed to give up an awesome job, I thought that a year out of the classroom to take care of my family and home might be kind of nice. But I underestimated how much I would miss teaching! So I am baby-stepping back in and answering the 6 am wakeup call to be a “guest teacher” as they call us nowadays. That said, I discovered this week that I no longer hate geometry. I can even teach it. That’s a pretty cool change in the life of this substitute teacher. P.S. The best thing about this old photo? The Warriner’s grammar books lined up on the shelf behind me. You’d never find those in an English classroom today.